The bigger the wedding, the bigger the stress. For lots of couples, a big wedding is more of a nightmare than a dream come true. Because everyone deserves to have a wedding that celebrates their love, their way, we wanted to dive into a kind of wedding many couples don’t put on the table until too late in their planning process. An elopement isn’t for everyone, but if you haven’t considered eloping, here are a few reasons you might want to. Of all the reasons to elope, this is the biggest: your day is 100% about you. Even with infusing as much personality as possible, a full-sized wedding inevitably factors in the needs of others. Eloping allows you to strip back many of the logistical aspects of a wedding that focus on the comfort, entertainment, and contentment of your family and guests. If reading personal vows in front of a group of people makes you nervous or the idea of putting together a seating chart that pleases everyone is not how you dreamed of planning your wedding, then an elopement might be for you! Besides having to seat and feed your guest list, inviting people to your wedding can cause be a source of unwanted stress for some. Whether you’re dealing with divorced parents, toxic family members, or narrowing down a lifetime of friendships to see who makes the cut, putting together a guest list that doesn’t hurt feelings can be tough. (Though, we stand by never feeling guilty about your picks!) It sounds a bit dramatic, but what if you could get married without having to stress over — or even create — a guest list at all? If reading that last sentence caused a sudden wave of relief to wash over you, then an elopement might be for you! 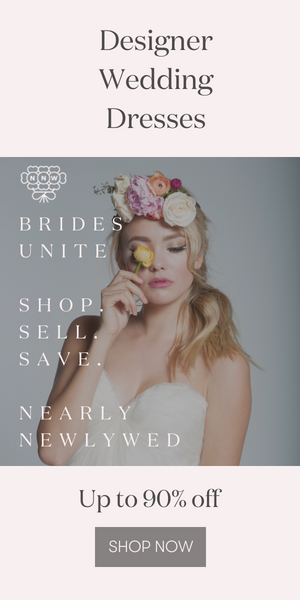 It may not be popular to talk about, but many wedding planning decisions come down to budget. Deciding to elope is no different, but it is a great solution to a tight budget for a couple of reasons. Without having to accommodate for a headcount, how you spend your budget is entirely up to you. If you’re working with an especially small budget, you can still have an unforgettable elopement. With a small budget, stay local, wear what makes you comfortable, and hire a photographer at the top of your price range to have someone capture what will be some of the sweetest and most tender moments of your life. If you have a larger budget to work with and are keen on the idea of eloping, allot those funds to what’s most important to you! For instance, your dream dress may not have been realistic with a full-sized wedding, but is totally doable for an elopement. Not having to feed 100 guests may allow you to travel across the world to say “I do,” or even to hire both a photographer and a videographer to capture the experience. If these budget considerations make your bank account sing, then an elopement might be for you! Speaking of budget, something a lot of couples don’t consider in their wedding budget is their honeymoon. Many couples end up delaying their honeymoon as they take time to replenish their funds from a wedding that maybe went a bit over budget. If you decide to travel somewhere exciting for your elopement, you may find yourselves in a position to double up on the fun and enjoy your honeymoon right away! Is there anything more exciting than the thought of tying the knot while on a European adventure or an excursion through Latin America? What a better way to kick off the most thrilling trip of your life than by saying “I do!” If your wanderlust is buzzing and you’re already thinking up dream destinations to combine your wedding and honeymoon, then an elopement might be for you!